Drone Survey | SAAR IT Resources Pvt. Ltd.
A drone, in a technological context, is an unmanned aircraft. Drones are more formally known as unmanned aerial vehicles (UAVs) or unmanned aircraft systems (UASes). Drones are now also used in a wide range of civilian roles ranging from search and rescue, surveillance, traffic monitoring, weather monitoring and fire-fighting to personal drones and business drone based photography, as well as videography, agriculture and even delivery services. 2. Survey of inaccessible locations. 3. Faster data acquisition & Higher data resolution with Low cost. It also reduces time spent. Possibilities around how drones can be used are limitless. This ability to quickly review the changes on a jobsite is called “Change Detection.” And with Change detection it is easier to determine progress of jobsite with a single glance. SAAR Geospatial team has state of art technology and experience to get you best results in Drone Survey (Change Detection). SAAR Geospatial endeavour to provide best-in-class services. We have a proven track record in 3D Modeling and can on-board such assignments even with higher volumes. Topography is a study of structure and features of the material surface. It ranges in macro, micro and nanometers. 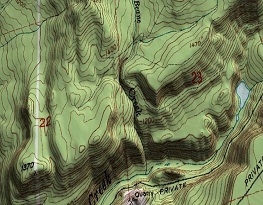 Topography covers the three-dimensional structure of the surface, and the identification of specific profile. 1. It provides necessary data of LAND before making any changes. 2. Data regarding changes made to the land prior to being used can be produced. 3. 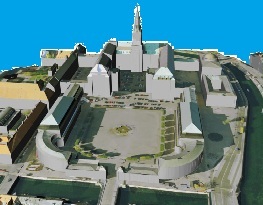 Complete and accurate image of land and the surrounding area can be produced. An orthophoto is an aerial photograph or image geometrically corrected ("orthorectified") such that the scale is uniform, the photo has the same lack of distortion as a map. 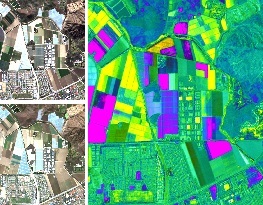 An orthophoto mosaic is a raster image made by merging orthophotos. And the document (digital or paper) representing an orthophoto mosaic with additional marginal information like a title, north arrow, scale bar and cartographical information is called an orthophoto map or image map. 1. It provides a precise method in constructing a GIS database. 2. It is a more cost-effective mapping tool compared to conventional line mapping. 3. The speed of the technique is amazingly high, making the map production quick.